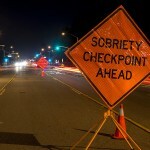 Driving under the influence – DUI – is now the most common charge against defendants in the legal system. Frankly, it’s often difficult to win an acquittal against a charge that involves complicated chemical and biological science combined with disputes over legal philosophies and technicalities. DWI cases continue to grow more and more complex; both the science and the law are continually evolving, changing, and expanding. 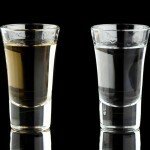 That’s one reason why, if you’re charged with DUI in southern California, you need the help of an experienced Orange County DUI defense attorney now more than ever. 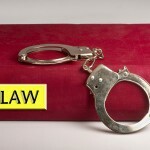 The entire field of DWI law has experienced remarkable changes in only the last several decades. Due primarily to incessant media attention and the persistent and passionate activism of groups like Mothers Against Drunk Driving (MADD), lawmakers race to pass tougher laws, receiving endorsements and favorable media attention for their efforts. In most states now, “per se” laws make failing a blood, breath, or urine test – rather than driving while intoxicated – the “actual” crime. Per se laws make prosecution easier, and they make defending against a DUI charge even more difficult. That’s another reason why anyone charged with DWI in California needs the services of a skilled, knowledgeable DUI defense lawyer. High-tech companies are constantly rolling out advanced new devices to measure a driver’s blood alcohol content level. Draeger Safety Diagnostics, for example, has recently released the Alcotest 7110, a state-of-the-art breathalyzer device. But as DWI science expands, so does the potential for police and prosecutorial mistakes. A good DWI defense lawyer has to learn a lot of science and won’t hesitate to call expert science witnesses on your behalf. 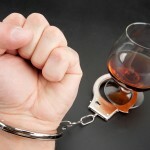 If you’re charged with DUI, do not think that you’ll automatically be convicted. It can be tough to win a DWI case in California, but good DWI defense lawyers do it every day in this state. If you’re charged with DWI in southern California – now or in the future – call an experienced Orange County DUI defense attorney immediately.